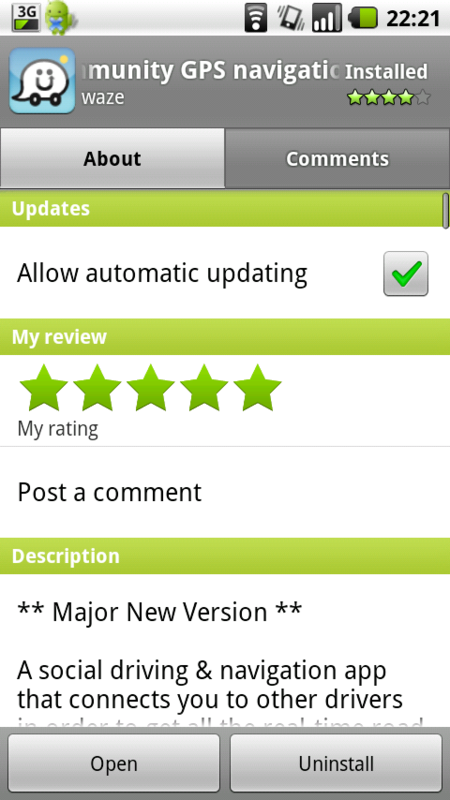 Motorola Milestone on 2.1 Now Allows Market App Auto-Updates? One of our readers from Israel just sent in the screenshots above which show his Motorola Milestone running Android 2.1, but with a market that allows apps to be auto-updated just like 2.2. He received some sort of an update to his market within the last couple of days which happened essentially at the same time that the Android team announced support of paid apps to a new batch of countries (including Israel of course). Does this mean that all Milestones in new paid app countries will have this wonderful Froyo option? Let’s hope so. I can’t even imagine life without it.